Dan Glasure talks about imported brass model trains, focusing on the history and types of brass trains, and the evolution of the collecting hobby. Dan wrote The Brass Train Guide Book and can be contacted via his website, Brass Trains. We’ve been operating Dan’s Train Depot, which is the parent company of BrassTrains.com, for about 11 years now. We bought out a very large brass dealer about five to six years ago who owned the site and we revamped it. I started out as a collector and I still enjoy the hobby. I don’t have a huge personal collection because we have such a huge turnover here. Generally I fill up my display cases and then something new comes in that interests me a little more. I got into trains just like probably everybody else in the world, or anyone my age anyways: finding the old Lionel train set that my dad had up in the attic. The generation before me got into trains when they were given a Lionel train set, so I think that’s why Lionel trains have been very collectible. I quickly became disenchanted with the Lionel and became interested in the HO scale because it’s much more realistic and there’s much more available to actually work with. It wasn’t so much a toy; it was a scale model. The Lionel trains I got in the attic, I traded those in within a couple months and was off to HO scale. It took a few years to graduate to brass models, but that’s the pinnacle of modeling as far as accuracy and detail and collectibility. 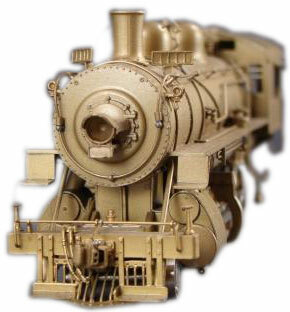 The brass models are very limited and very accurate representations of actual trains that have been made through the years. They would hand-make these trains using brass. Brass was non-magnetic so it would work with the motors, and it was just a material that seemed to work well for crafting. So that’s how the brass models came into existence. In the early days, there was a very limited number of hand-made models done, but then a fellow started importing them on a much greater scale and little factories were set up in Japan. A lot of the stuff was hand-made and hand-soldered and a tremendous amount of work went into each one of those models. At the time, they were absolutely the most accurate train models made, so people originally bought them just to operate them on their layout, even though they weren’t very expensive. Even a hand-built model at the time was $50 to $100. The trains gradually started becoming more expensive, and some of those same models today will fetch possibly over $10,000. Some that sold at auctions were $30,000 and up. These models are getting quite expensive so a lot of people just display them in display cases. I think more people collect them than operate them today, but there are still a lot of people that buy them because they’re the best possible thing to operate, too. Collectors Weekly: When did the brass models become popular to collect? Glasure: There was a famous Sotheby’s auction that auctioned off a lot of brass models in the early ‘90s. Everybody thought that would catapult them into super collectability. There were some real big players there. I know for a fact Steven Spielberg was there, or at least he was phoning in, and Michael Eisner and some of these big-named guys were there, buying this stuff up. It was going for tremendous amounts of money. But after that, things never really took off like everybody thought. Right now, it’s mainly guys who are into model railroading who collect brass models. They have all the earmarks of a great collectible because everybody loves trains and everybody loves super rare hand-built items that are very high quality, which many of these are. Collectors Weekly: Are the brass trains still hand-made? Glasure: Yes. But naturally there have been changes. For example, the running mechanisms improved with technology. They’ve actually been able to make those run much better and smoother and the variations can be kept under control. They’ve also been able to do more features like little operating doors and hatches and opening windows. So in that way the quality has gotten better, but we’ll never again see where one guy sat down and made the train pretty much from scratch. That’s the difference. They literally sat down and created the whole thing. It’s a very small-scale operation. Even now there might only be a hundred of a certain model made, and of that there might be five different variations. You’re looking at 10 to 20 of any particular variation, which is an extremely small number, but there are still a number of people involved in that process, more so than originally. Today there are probably less than 10 major importers and they don’t produce a lot of models each year. It’s very limited. A very large importer in the past was Pacific Fast Mail. We have importers who import the things into the U.S. They find a prototype and do all the drawings and blueprints and so forth, and then they find a builder in either Japan or now mainly Korea. The builder actually builds the models and the importer oversees what’s being built, and then they bring it to the States and send it to the dealers and so forth. The builders are generally companies, not individuals. Most of the stuff now is being built in Korea by companies like Boo-Rim and AJIN and a slew of other little companies. Sometimes a company might have 20 employees; sometimes they might have five. There were a few larger companies through the years, but they’re really not producing trains anymore. Companies like Kato and Atlas and Walthers didn’t make any brass model trains. That’s all plastic stuff. Actually, Walthers imported a couple brass pieces early on, 50-some years ago, but they never really got into it. They went a different way, to the plastic, the more mainstream. Those plastic engines might be limited editions, but a limited edition might have 10,000 or 15,000 pieces instead of 150. Making brass trains is a complicated and tough business. I think the people who have imported brass models have done it because they enjoy it. There’s not a lot of money to be made in it. They never quite know what’s going to sell great. They might import a project that sells out in a day, or they might import a project that nobody seems to really want. It’s very small, sometimes truly just a mom-and-pop type thing, they fly over to Japan and work with the builders. It’s not real mainstream. Collectors Weekly: Do brass train collectors tend to collect by the builder, or the railroad? Glasure: They generally collect by the type of actual prototype model that appeals to them. Most collectors may like a certain road, so they may want all Chicago Northwestern trains, for example, or they may collect certain steam engines – articulated steam engines or logging steam engines. Of course some collectors just collect anything that strikes their fancy. Just about any railroad in existence has been modeled at one time or another. That’s the beauty of brass model trains. There are so many small railroads. They call them short lines and they run for a very short distance. Up until recently, plastic manufacturers wouldn’t touch something like that because there wasn’t a big enough audience, but with brass models, they put a hundred of them out, and they’d sell quickly. They’ve done tremendous amounts in the larger railroads; probably the most popular railroads are Santa Fe (the ATSF), Union Pacific, and the Pennsylvania Railroad (PRR). Those are probably three of the most popular in brass. 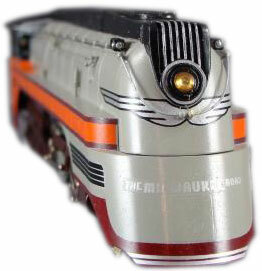 A lot of collectors like the streamlined locomotives that were designed by famous architects. Those are very sleek and beautiful models. It doesn’t matter what road. A lot of collectors like the colorful locomotives or the huge locomotives like the Union Pacific Big Boy. In the early days, brass trains normally came unpainted, but today the vast majority do come painted. Now most collectors prefer to have those models painted. Sometimes collectors like them unpainted because they can see the brass, but generally a real collector likes them painted because then they truly represent the original prototype. The painted models sell for considerably more than similar unpainted models. Collectors Weekly: What is the difference between vintage collectible trains and the newer limited-editions? Glasure: When these things were first being made, they were extremely limited. The hand-builts only have between one and 10 models. Once they started getting imported, they would make 100 to 300, and then when those became popular, they imported sometimes 500 to 1,000 of them. That’s still pretty limited compared to a lot of things, but obviously there are more of them floating around. Recently, many of the importers have been putting out very limited editions, often less than 20 of a particular variation. That’s less than one for every two states, and remember these things are also collected overseas. We have a huge business overseas. So if there’s only 20 or something floating around, they’ll just disappear, and then when one shows up, if it’s something very desirable, people might pay a lot more than it originally sold for. Collectors Weekly: Where overseas are brass trains popular? Glasure: Remember that trains are very popular oveseas in general. We’ve been talking about American prototype brass trains, but there are also a lot of European and Japanese and other types of brass model trains. A lot of the Japanese collectors are trying to recollect some of the trains that people in their family built. There’s really a very diverse amount of collectors for this type of item. Collectors Weekly: Would you say that the hobby is growing? Glasure: Some say it’s shrinking because the guys that remember riding the trains and were really into this are getting older and some are passing on. Today, kids are more interested in video games than trains, so the hobby is probably shrinking. But I think that at some point down the road, especially with these brass models, people are going to get hold of them and enjoy them. The type of people that are collecting are changing. Some of the older generations were more craftsmen. They had the time to sit and build these things. Today’s generation is more of a ready-to-run generation. They want to get things going as quick as possible. They don’t have the time. A lot of younger collectors collect diesel because that’s what they’re seeing, but a lot of people still love steam, even people that don’t remember seeing them. Those are some massive incredible machines. Steam is probably still the most collectible. There’s also rolling stock, cabooses, and interesting cars that have been built through the years. Condition is getting to be more and more important, whereas in years past people would pick anything up in any condition. Collectors want stuff in mint condition or as close as possible, and that’s getting to be more of an issue because even if there were 500 of a model made in the ‘70s, 250 were probably used and abused and probably 50 have just disappeared. It’s amazing how people don’t take care of them. HO scale probably makes up about 80 percent of the brass train market today. The next would probably be O scale and then following that is N scale. There’s also Number 1 gauge (or G scale), Z scale, and S scale, but HO is definitely the most popular and the most brass trains have been made in it. HO has been a standard for years. It’s the easiest to work with. O scale is twice the size and the detail is beautiful, but if you wanted to display a lot or have an operating layout, it’s very difficult. You need a very large amount of room, and N scale is just so small that it’s hard to get the detail. Collectors Weekly: If someone was new to collecting brass models, what advice would you have for them? Glasure: They should buy the Brass Train Guide Book! In all seriousness, they should educate themselves. They can also educate themselves by watching what sells on eBay and looking at dealers’ websites. They want to invest wisely. It’s a large amount of money, so you want to know what you’re after. Once you get a real feel of what stuff is generally worth, go after what appeals to you. The collectors who are most successful even as investors are the ones who just follow what strikes their fancy, what they love. They enjoy it that way and oftentimes they end up with some of the best models. In terms of whats in our book, it’s a set, and we have a new price and data guide coming out in the next couple months. It’s basically a database of over 27,000 different models that were put out through the years in every scale in steam, diesel, passenger, rolling stock, and basically everything that was ever made. There are always a few things that we’re unable to get and we’ll continue to add to that database. Also, for all HO and N scale, we’ll have current market value prices, which will be a guide in helping determine what models are worth, which would be an invaluable resource, especially to new collectors that don’t know. For the new data guide, we were very fortunate to be able go to a collector in the San Francisco Bay Area that has an unbelievable collection of hand-builts. We’re going to have some beautiful photos of those and explanations which will help people learn about that. There are very few people that truly understand that, so we’re helping to educate people. The other book we have has interviews with most of the importers through the years that are still alive, which is a wonderful source of information for what went into making these models and their views on them. It has a lot of photographs. Our goal was just to take every bit of knowledge we could gather and share it with whoever wanted to participate in it, and I think it’s been pretty successful for that. Collectors Weekly: What are some of your favorite models or the best models you’ve seen? Glasure: The W&R articulated models. That was a challenge, to import articulated models. I like the streamlined models that various companies or importers have done. Often what appeals to me is something that’s a little bit unique – maybe a colorful paint scheme, a very large locomotive, or just something that stands out from the pack. I haven’t even been able to get too many hand-builts into my collection, but anytime I would have a chance with that, I’d be very interested. I grew up near the Soo lines, so I always have a soft spot for that. Later, we moved, and the Chicago Northwestern was literally in our backyard. It shook the house every time it went by. So those roads have a personal interest to me, but I also like the Santa Fe Railroad and the Union Pacific and the Pennsylvania Railroad – they put out some very interesting locomotives. It’s hard to narrow down a favorite! Collectors Weekly: Any trends you’ve noticed in model railroading overall? Glasure: DCC, or digital control systems, are becoming very important right now. We see a lot of things like bells and whistles being added, and literally sound, little people talking. Also, everything is going to ready-to-run whereas we used to seek kits that you had to put together. Also, hobby shops going out of business and the Internet is becoming a very important juggernaut. We’re seeing a little more of a globalization, too. There are a lot of European people and overseas people interested in this hobby. In terms of scales, some people as they get a little older and start losing their eyesight, like to go up to O scale. Conversely, some people like N scale because it’s smaller and you can fit more of it. But HO is still the dominant scale just because there’s so much available and it strikes that balance between N and O. At the end of the day, I chose to do my layout in HO. Collectors Weekly: Anything else you’d like to mention about brass trains or collecting? Glasure: I met a Japanese fellow who was around for all of the early Japanese building and knew all of the builders personally. He said that the Japanese have always been very interested in crafts and they place very high value on that. He said before the war, Japan was known for putting out junk, cheap toys and stuff, because that’s what they thought the Americans wanted. After the war, their country was devastated, and he said it became very important to their society to become known as someone who put out quality and craft. This is just one small example, but building brass model trains was a job of honor because craftsmen were appreciated in Japan. They really put their heart into making these models as good as they could be. It’s not just something that’s been processed; it’s something that is truly artistic. Through time I think we’ve lost that a little bit. does any one out there have any info on a hambling brass train loomotive ? underneath in the left wheel housing is the name hambling, also train has an L M S NAME ON EACH SIDE AND THE NUMBER 2536. I SEEM TO BE HIITING A BRICK WALL WHEN RESEARCHING THIS UNIT, ALL I CAN FIND IS HAMBLING TOY STORE, LONDON 1938 THRU THE 70’S. TRAIN BRASS BODY PAINTED BLACK, VERY WELL MADE, EXTREMLY HEAVY FOR IT’S SIZE, VERY WELL MADE. THIS THING LOOKS ASIF IT COULD HAVE BEEN HANDBUILT. Hi. Obviously, you know your trains. I hope this is acceptable, as it is slightly off the main subject. I am an older guy who always had Lionel (like most) and recently received an HO set from the late eighties. When I opened it up (it was a gift from my son who was unaware) it was like brand new, except the engine had the bad side turned down. Someone must have dropped it, and when I tried to run it, the wheels came off. This thing was poorly made, as there were plastic sleeves holding in the axle ends. Now, I sent it to Bachman, where I got excellent treatment. They only charged me a total (including shipping back to me) of $15.00. They put in an updated motor and some other parts, as the original motor was no longer available. You can’t even tell the difference, as they said I probably couldn’t. My question (sorry about the book above) is, are the HO motors reliable now? I hear a lot about ‘flywheel drive’. Is that good? Thanks for any information, as I would like very much to buy additional HO trains with the new sound technology, and some used ones if I run across them. I have a “Sunset” Great Northern F-1 2-8-0 #512 factory painted Glacier Park, that spun a driver, fried the original motor, threw a rod and burned a hole in an insulated driver insulation. I got the driver re-quartered, a ridiculously tiny can motor, re-attached the rod. after degreasing the driver, dribbled runny super glue between tire and wheel. It runs hot (motor too small), but it still operates well! I have two old brass japanesse steam engine kits the only names I can come up with are the tags on the engine which says Tamaya? One cost 37 yen and one cost 35 yen they are both in red boxes. Did not know if any one could help guide me in the right direction on these items? Thank you for your inspiring information! I don’t know if I will be able to get the relevance, (for me), of what I have to say in my story to you in the allowed space we have to detail my story, but I’ll sure try. I agree that the Japanese brass model train manufacturers put their heart into making brass model trains as good as they could be. I buy Suydam brass model trains. I began collecting them in January; and at the moment, I own about 8 to 10 pieces. I buy my Suydams mostly from eBay.com and sometimes from brasstrains.com. I am in awe of the quality and craftsmanship of the Suydams I own. I truly appreciate the craftsmen in Japan who put their heart into making these HO scale brass trains look so “realistic”. The Japanese craftsmen are indeed artistic for these models to turn out so accurate and beautiful. to gary golden there is a toy shop on regents street london called hamleys which is considered to be the best toy shop in the world, and a major tourist attraction i went there once and they had the most amazing railway layout on the 4th floor which was breathtaking, the lms you refer to is london midland scottish railways logo, most lms trains were made by hornby triang if you type that into google you might find your train good luck..duffy.. glasgow scotland…freedooooom…. I owned a Lionel HO set as a kid and built a small layout. I enjoyed my trains for several years and kept them into adulthood. I recently December 2107 went to a Flea Market and there was a guy there selling all of his deceased uncles trains which included a dozen or so brass models in their original boxes. I lived in Japan as a child in the early 70’s and remember seeing these in toy shops. I recognized them immediately for what they were and cut a deal with the guy to purchase all of the engines and parts he had. Paid $350.00 for all of them! Detail is amazing! Trying to figure out a way to display them. Also need to find someone who could do a little repair work on one or two. Let me know if there is someone you could recommend. I have 2 Milw Little Joes that are painted Milwauke colors. One is in the early color and the other is the last paint scheme. I used to log along the Mainline thru Montana and fell in love with the electric as they cane thru the Superior/St. Regis area. I would like to know what the units are worth and if there I a demand for them. I am not really interested in parting with the units, at this time. 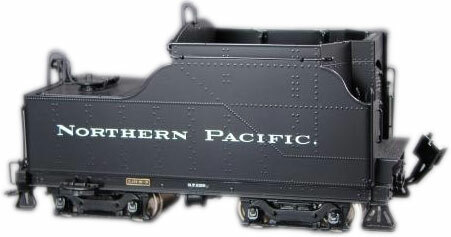 I just started buying off of brass trains and I find the variety of your stock very large and quite profession, I would compare it to the days when I was very young and going to the hobby shop that had every thing from match boxes to aurora stock cars to lionel trains, I can spend hours on this site just looking over all of there trains. The service is very profession and like any good company aim to please there customer. I was amazed to find such a good company this day an age on the internet. Very reliable, and that is why they will be doing more business with myself in the future. Thanks for the great service guys, I appreciate all the great service that I have received over the past few weeks. “ ” Photochroms were a European invention.